Whether interior or exterior; staining concrete adds years of life and beautifies. ​Staining has many unique benefits; cosmetic and functional. Don't leave your concrete unprotected. Below explains the examples & benefits of staining concrete & exposes the aesthetic possibilities. Concrete staining in Jacksonville, FL. Many reasons exist as to why to stain your concrete. Staining concrete can enhance any area. Also, it will waterproof if your concrete will be exposed to water; especially decks, patios and driveways. Moisture of any kind can cause problems. This is where stain goes into action. 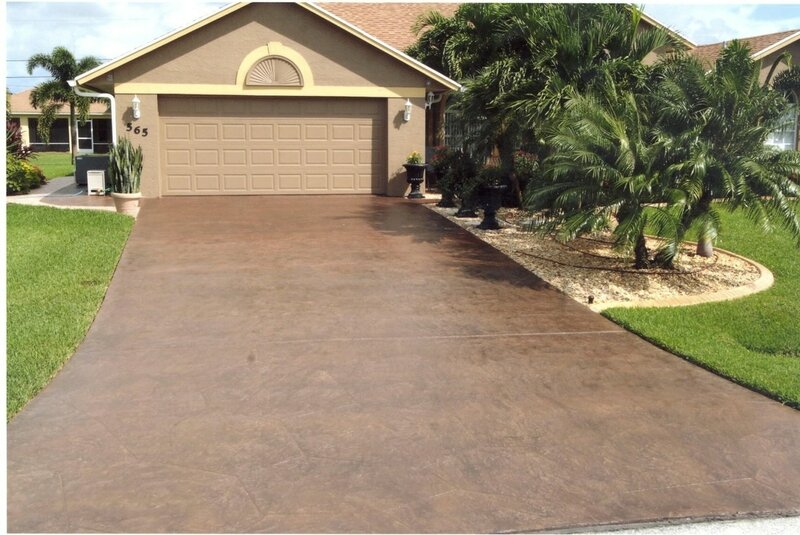 Concrete stain helps protect surfaces and beautify at the same time. Moisture intrusion and surface contaminates is a real problem in Florida for concrete. Proper staining enhances and protects against mold, mildew and unsightly stains caused by a myriad of sources. Oil or grease can damage your decks or driveway, penetrating deep within. Concrete stain prevents discoloring and penetration of unwanted contaminates. 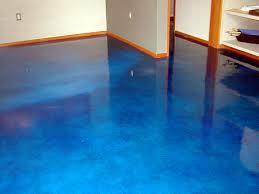 Concrete stain, acid stain or epoxy flooring is a great way to accent or change the color of your drab floor. Aesthetically, concrete stain can open a wide array of possibilities; the art has come along way over the years. With today's technology many manufacturers make stains with sealers or waterproofing included. Especially exterior stains such as you would use on a pool deck, patio or driveway. Providing many years of beautiful concrete. Click here to learn about painting concrete in cold weather. Acid stain allows you to stain almost any surface; even indoor areas in a wide array of patterns and designs. Many tones and colors are available. It works well in homes, patios and concrete garage floors. Acid wash stained floors allows concrete surfaces to mimic wood, water, tile or anything you can dream up. This type of staining gives a beautiful faux finish with a unique designs and goes perfectly when interior painting.